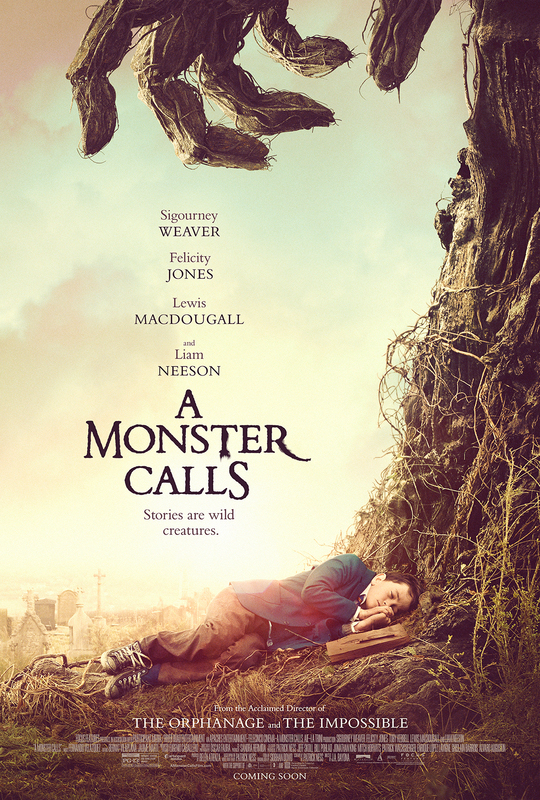 Written by Patrick Ness and based on his novel of the same name, and directed by J.A. Bayona, this dark fantasy drama stars Lewis MacDougall as a boy whose mother is terminally ill. He’s visited by a giant monster in the shape of a tree who helps him cope with his grief. The cast includes Felicity Jones, Sigourney Weaver and Liam Neeson. The one-sheet received a nomination for Best Animation/Family Poster from the 2017 Golden Trailer Awards.